At the lotus temple,Zuiouin, 400 lotus flowers fully bloom now. 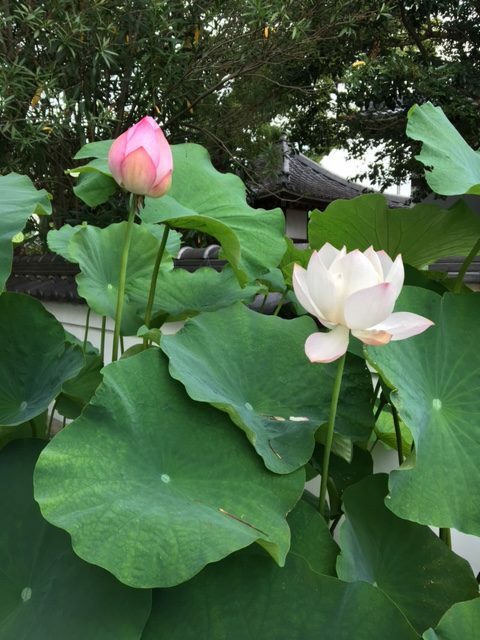 on the leaf of lotus flower,so in Buddhism, lotus is a holy flower. This 400 years old temple is keeping various lotus from all of the world. 300 years old Bell Tower.